We are only in the middle of January yet already jumps fans are on the cusp of the third National of the year – and number three provides something close to a re-run of the first. Morney Wing, Dawson City and Onderun finished first, second and fourth in the Sussex National at Plumpton 17 days ago and now renew rivalry against the Colin Tizzard-trained Sartorial Elegance, who looked to have a big chance when unseating late in the race on that occasion. 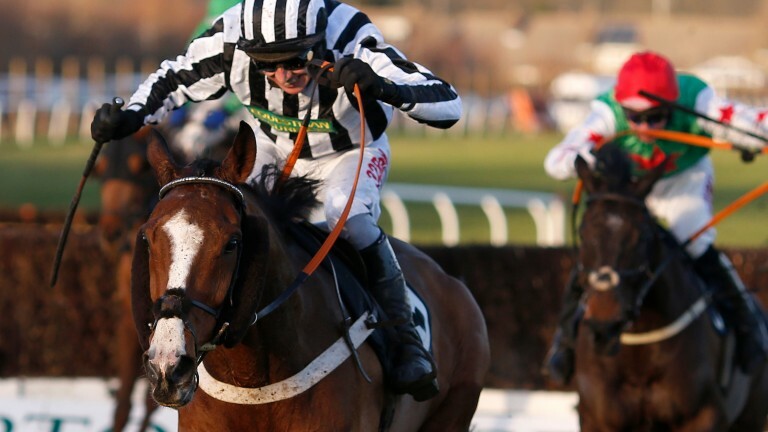 For Dawson City – brought down in the Wincanton Boxing Day pile-up – this is also the chance to go one better than in last year's Somerset National, in which he finished second. Headgear is everywhere you look in this race, not least in the form of cheekpieces, which seven of the runners sport. Five members of the field are equipped with a tongue-tie, while four of those five are also in the cheekpiece brigade. Barton Gift, jointly-owned by former trainer Mercy Rimell, ran out a 28-1 winner of a lesser event at Bangor last month and must therefore compete off a BHA rating of 120, 4lb more than he has ever shouldered in the past. He's going up in grade compared to his win for us last season but is doing everything right at home. He's run well at Wincanton in the past and as long as the ground stays in the region of heavy I'll be happy. Jamie Moore should suit him very well. I'm mainly hoping for a nice, clear round as he keeps bumping into horses – quite literally. He came close to winning this race last season but then his jumping fell apart up the home straight. He's now older and wiser. The ground is what he wants as well. He ran well for a long way last time. That was a massive step in the right direction and he wouldn't be without a chance here. He's been running very consistently this winter. I was pleased with him at Carlisle, and Fontwell the time before. He's gone well at Wincanton in the past and the trip and ground should suit him. He's always been a character but he has won quite a few races as a character, so it's not a problem. This is the highest mark he has ever run off and he could also really do with a longer trip. He did win at Wincanton over shorter last year but it wasn't as strong a race as this one.